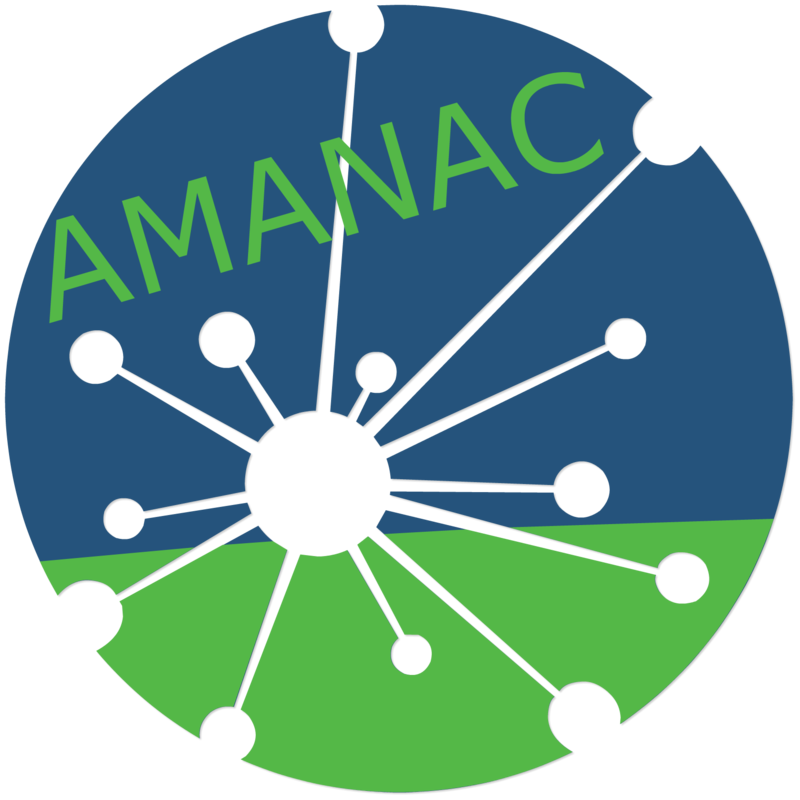 Development of lightweight concrete for adaptive envelopes is a part of ADAPTIWALL project (“Multi-functional light-weight WALL panel based on ADAPTive Insulation and nanomaterials for energy efficient buildings “, www.adaptiwall.eu). Lightweight concrete is produced with the incorporation of air in the structure by means of low density mineral aggregates (expanded clay, perlite, vermiculite…), polymeric particles or air-entraining agents. Most commonly, porous or laminar aggregates with a high quantity of air are used, which are often produced using a thermal treatment. A wide range of density can be obtained by substitution of conventional aggregates like sand, gravel or different stones with these natural or artificial low density structures. From the conventional high density concrete with 2500 kg/m3 for high mechanical properties to a high thermal insulation with 500 kg/m3. The density of the concrete is directly related to its mechanical and thermal properties, so according the final use of the concrete a minimum density will be needed. The application of lightweight concrete for building envelopes consists of panels which do not support the building load but will have to support their own weight, the wind and other meteorological facts, so minimum mechanical properties of class C30/35 are required. Lightweight concrete has specific thermal properties but in some applications could be necessary the adjust this property. The use of specific additives and particles can change the thermal properties (for example thermal conductivity) of these concretes without significantly changing the density. The next figure shows the evolution of the thermal conductivity (W/mK) with the density (kg/m3). 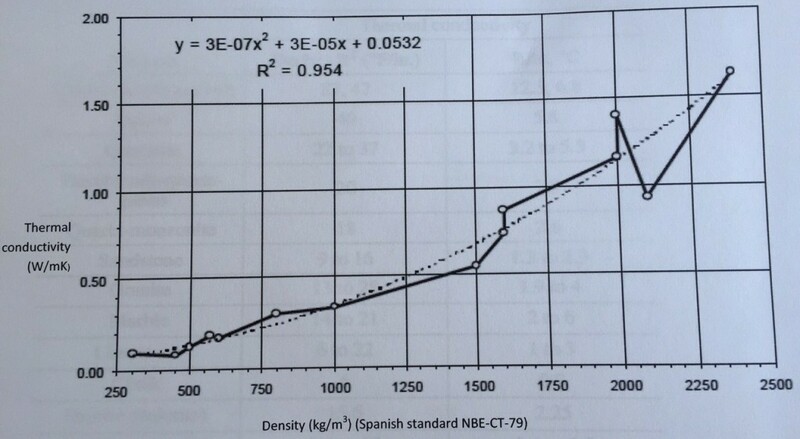 Many papers exist regarding the evaluation of the thermal conductivity using different aggregates and additives. Wadsö and Karlsson (2012) showed that it is possible to increase the thermal conductivity of a concrete up to 50% of a conventional one. They made a study using copper, graphite, brass, and steel fibres like additives and quartzite and magnetite like aggregates. American concrete institute published in 2002 a Guide to Thermal Properties of Concrete and Masonry Systems. In this guide some correlations between density and thermal conductivity can be found and specific data for aggregates, like Table 2. A combination of an adequate aggregate and additives can achieve important increments in thermal conductivity values. Another example of a thermal property of the concrete that decreases with density is the heat storage capacity (thermal capacity). Conventional concrete has a great thermal capacity because it is composed of high density materials with elevated values of specific heat. This characteristic gives it the property to store heat and to improve the thermal comfort of the surroundings (thermal mass). By using concrete’s thermal mass, energy consumption can be reduced by tempering the need for heating and cooling in a building. 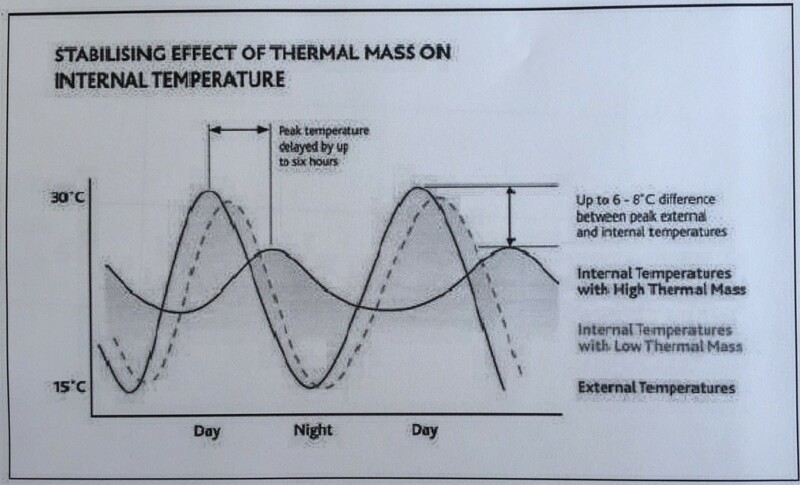 The thermal inertia provided has the effect of smoothing out temperature peaks or troughs and delaying the onset of peaks in internal temperatures, so maintaining a more stable, comfortable indoor environment. This is recognised in the methodology provided in EN ISO 13790. The air included in the lightweight concretes reduces the thermal mass of the concrete resulting in a worsening of the thermal storage capacity of the material. The use of phase change materials with high density of heat storage capacity could be the solution to restore the thermal capacity of the concrete. The use of PCM with a melting point similar to the working temperature of the wall and the energy adsorbed during the melting process and the energy released during the solidification process could be used as active thermal mass. Lars Wadsö; Jonathan Karlsson; Kristian Tammo. 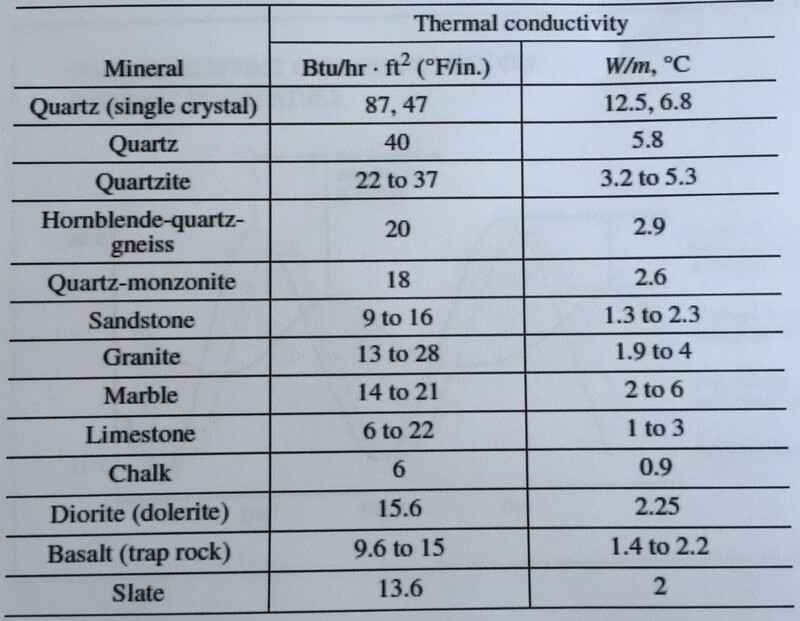 “Thermal properties of concrete with various aggregates”. Cement and Concrete Research. Article in Press.